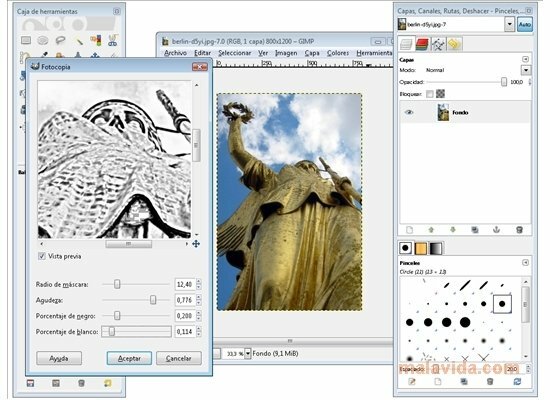 One of the alternatives, that is very well rated by the users, to editing and enhancement applications like Photoshop is GIMP. 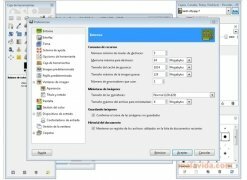 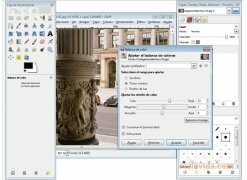 This utility forms part of the GNU project and provides you the possibility to edit your photographs, create compositions and montages, and elaborate spectacular images, totally free of charge. 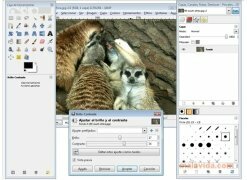 The most lightweight and handy version of GIMP is called GIMP Portable. 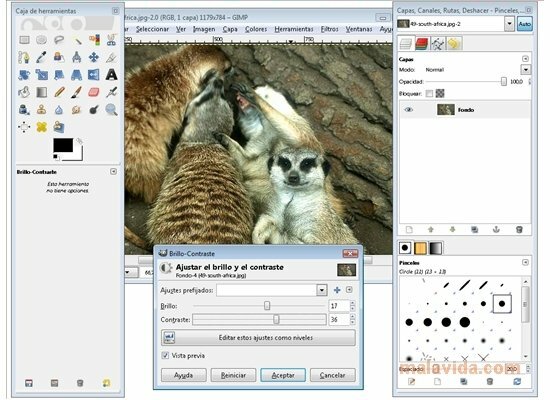 Thus, thanks to GIMP Portable any user can have a great pack of editing and image creation tools almost instantly on any computer. 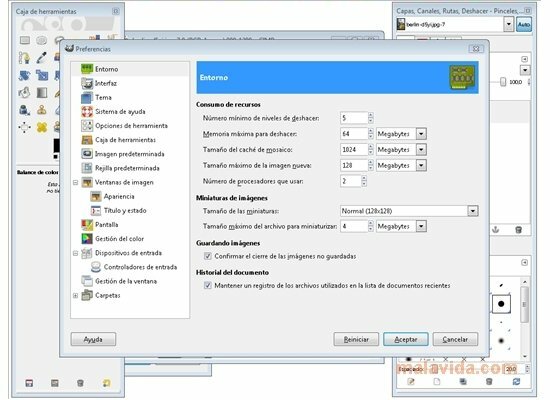 Its ease of use makes it an ideal application for any user, no matter what knowledge they have about this kind of application. 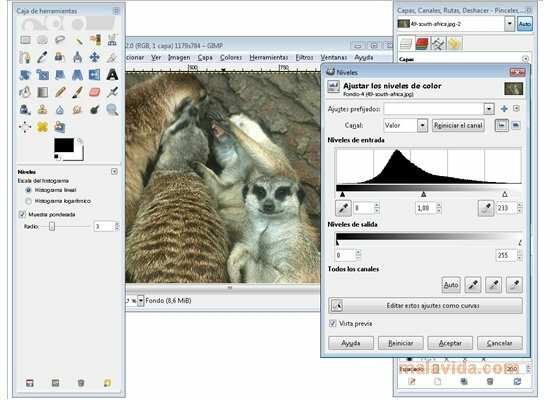 - Carry out basic adjustments that allow you to improve how a photo is viewed (brightness, contrast, tone, levels, etc.). 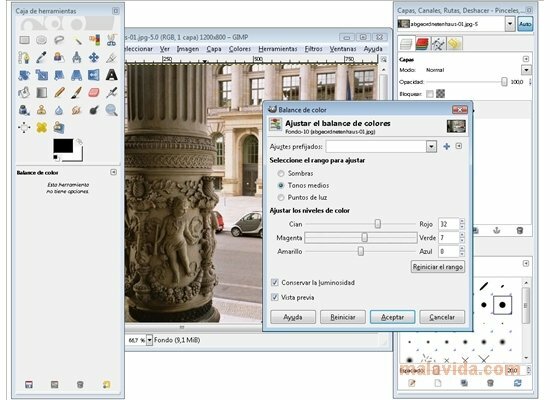 - Basic image editing (crop, transform, rotate, flip, etc.). 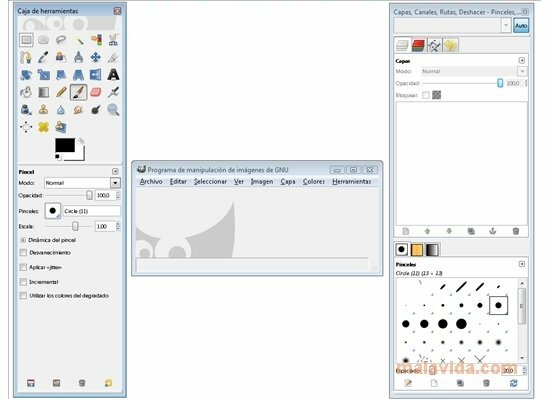 - Create montages or compositions from various elements. 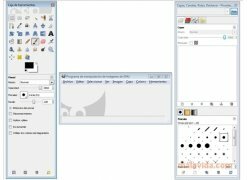 - Create drawing and paintings. If you want to have a quality graphic tool without having to pay for expensive licenses, download GIMP Portable.